Dr. Phadke is a leading authority in the country for Pediatric Nephrology. He is the Head of Department of Pediatric Nephrology and Director of Clinical Services at Rainbow Children’s Hospital at Bengaluru. 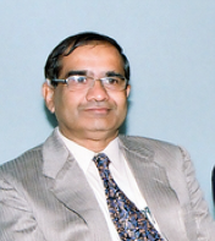 Before joining Rainbow Children’s Hospital, he served as a faculty in Pediatrics & Pediatrics Nephrology for 15 years at St. John’s Hospital, Bengaluru where he established a renowned “Children’s Kidney Care Centre”; a leading center for dialysis and transplantation for children and a centre for basic sciences and clinical research in the field of Pediatric Nephrology. He started the first DM (Pediatric Nephrology), MCI (Medical Council of India) -approved training course in the country. Dr. Phadke is Board certified in Pediatrics & Pediatric Nephrology in the USA and received his MD, DCH at KEM hospital, Mumbai. Dr. Phadke is actively involved in promoting the Deceased Donor Transplant Programme in the state of Karnataka; a social cause focusing on saving the lives of patients with kidney failure. He was the founder and chairman of the NGO Foundation for Organ Retrieval and Transplant Education (FORTE). He was also the secretary and vice-chairman for Zonal, a coordination committee for the Ministry of Health and Family Welfare for the Government of Karnataka.